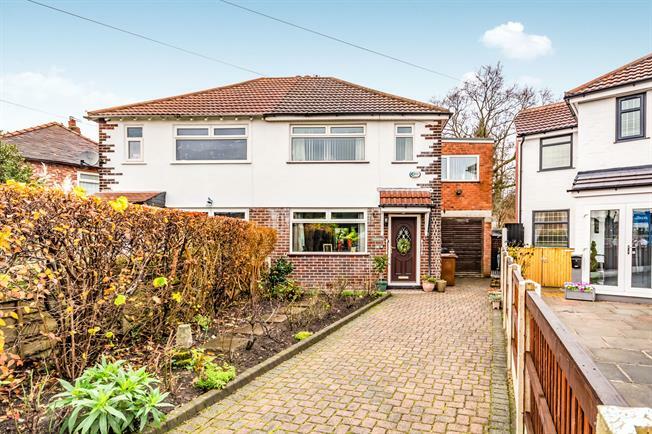 This extended three bedroom property would make a great purchase for a buyer looking to put their own stamp on it, internally the property is bright, spacious and in brief comprises of; open-plan lounge area with access to under-stair WC and doors leading out onto rear garden. Kitchen-diner area with window overlooking the rear. Upstairs the property offers a master bedroom to the front, double bedroom to the rear, third bedroom with en-suite and also a family bathroom. Externally there is off-road parking for multiple cars, garage (only useful for storage) and an enclosed rear garden.